The Pomodoro Technique is one of my favorite productivity tricks because it’s so easy to use, it helps you to stay focused, and makes you take a lot of breaks. What’s not to like about that? 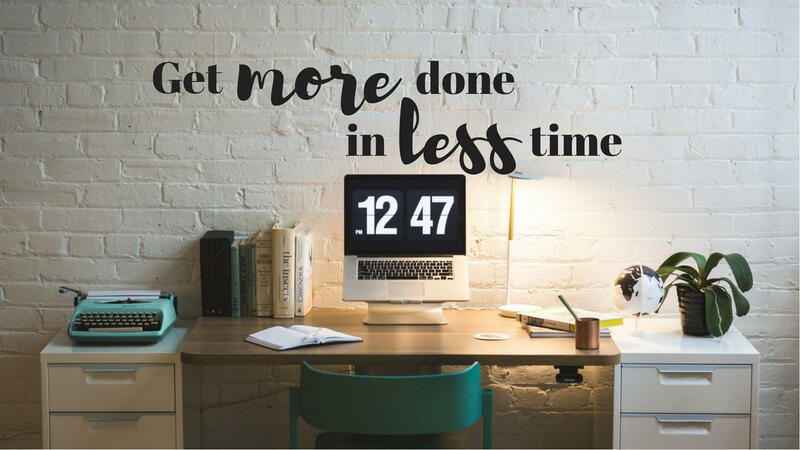 It definitely changed how much I can get done and cuts down on the overwhelm of having a lot to do. Not only that, this method actually trains your brain to improve your attention span and concentration. It helps you work without distractions, and even encourages you to think on a deeper level because you have less of those pesky distractions. 1. A timer – that’s it! If you get distracted or feel a strong urge to work on something else during your 25-minute work block, just take note of it and keep going until the timer goes off. This will probably happen more often when you first start using this technique. When I first started doing this I realized that I checked my notifications almost compulsively. I was ADDICTED! It was really hard not to look when I saw that an email or message had come in. But if you use this technique consistently, it will train you to be more focused and productive. Turning off notifications on your devices while you’re working doesn’t hurt either! The frequent breaks are important because they help you stay productive and motivated. After you do 4 rounds of working for 25 minutes and then taking 5 minute breaks, take a longer break – around 15-30 minutes - so that you can recharge and get ready to start another round of work. My favorite way to do this is to listen to music while I’m working, I find it helps me to tune out distractions and stay focused. Plus, it always puts me in a good mood, which also makes me more productive! There are a ton of apps out there that can help you work in short bursts like this. Just Googling “Pomodoro technique apps” will get you TONS of results. To be honest I haven’t tried any of them because all I use for this is the timer on my phone. That’s what works for me. The goal with this, just like any other productivity tip, is to help you get more done in less time. If you need to tweak this method because it’s not perfect for you, and that will help you get the results you’re after, then by all means - do it! It’s more about the result than how you get there. So - here’s my challenge to you. Don’t let this be just another article you read and then go on with your day. Try using this technique for a full day and see how it impacts your results! Remember when I said I used to have way too many things on my to-do list? 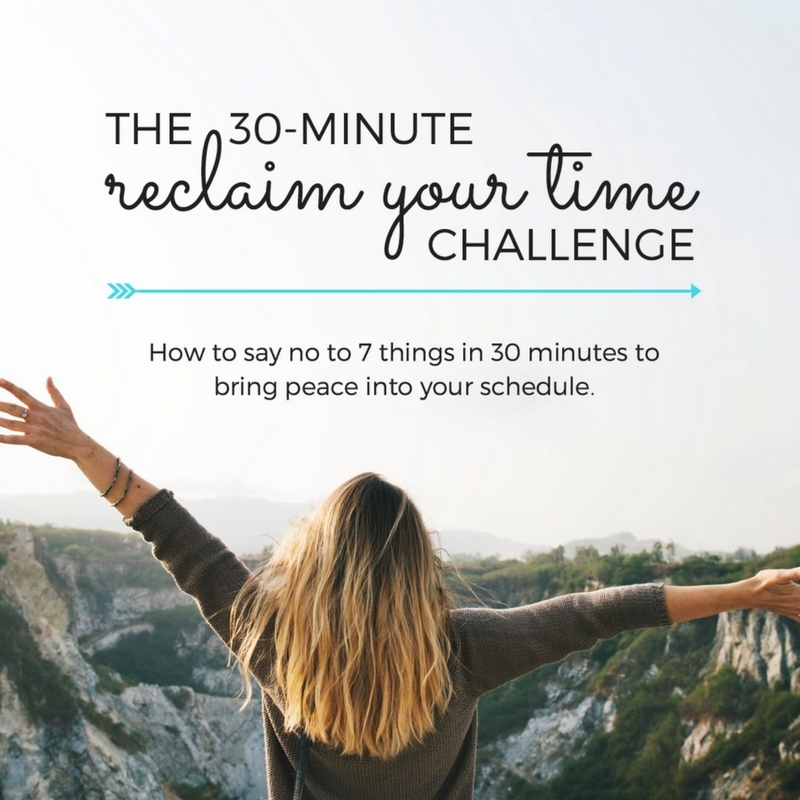 If you struggle with that same problem, check out my free 30-Minute Reclaim Your Time Challenge. It will help bring immediate peace into your schedule! Find me on Facebook and let me know how it goes for you! I’m a huge fan of productivity tips, so if you have any that really work for you, I’d love to know! If you found this helpful, make sure to subscribe to get new helpful content delivered to your inbox as soon as it’s released.